This is one of my brand new - for autumn 2016 - magnetic tassel locket! 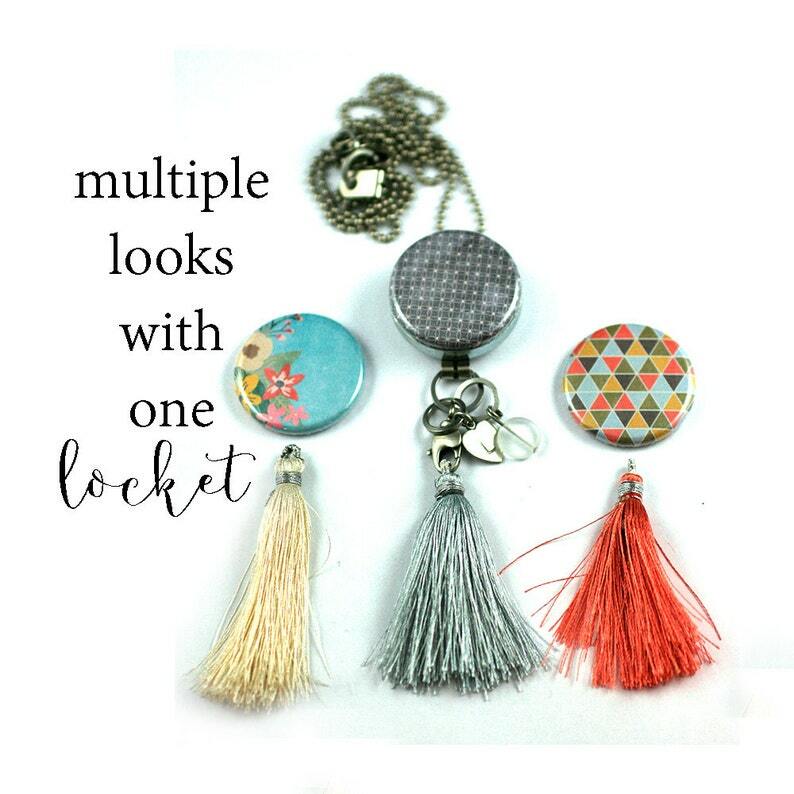 If you have ever wished you could switch your necklace tassel with your outfit or mood - this is the tassel jewelry you will love. This stunning, steel necklace is created from a recycled auto part which I have fabricated with love and fire into a versatile locket! My Polarity Lockets are the original, magnetic interchangeable jewelry. All Polarity jewelry including the changeable magnetic top is © 2007-2016; all designs used on the jewelry are © by Jennifer Howland and used here with permission. Got my necklace and it was all I hoped for. Got it quick. Packaged thoughtfully and secure. Necklace keeper was little, clean, and sleek. Button magnet is super strong so I don’t have to worry about it falling out. Charms were nicely placed, to include my own little personal stamp. Tassels were put together nicely. I was also surprised by another lid from the same flower collection AND another color tassel. Got many compliments the first day I wore mine. Thank you Polarity. Will be buying more in the future. Speedy communication, speedy shipping, adorable packaging, and lovely product. I ended up buying three more for friends. These little magnets are so cute!!! A pleasure to deal with, and a really great quality product.